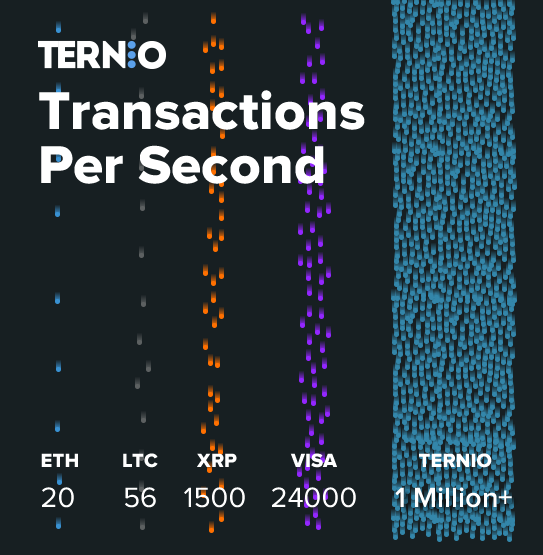 Ternio has ability to do 1.2 million transactions per second!! Ternio is the future of digital advertising. There are 3 main problems in the digital advertising industry that Ternio is planning to solve. What happend with the hair? Been following this one. The advertising part isn't even interesting to me. The 1.2 MIL TPS is what's crazy! https://youtu.be/ujNavTEn-7I?t=1m50s When Ternio licenses that tech to other industries it's going to be huge. I think this is the next sleeper ICO. I put in a little already and contributing more later this week thanks to ETH and BTC headed back up. Does Ternio have any working competitors now? A team full of talent and an impressive project, I would like to know will be done with the tokens that are not sold? Thanks. Nope. That's why I like them. They have first mover advantage in a niche market that has billions of dollars flowing. I would like to clarify. Do you write that Ternio is in Stellar (XLM)? How does this work? Is the coin in the system Stellar (XLM)? That is correct. We use a combination of IBM's Hyperledger Fabric and Stellar to generate the TPS scale. The token is XLM based. Thanks! 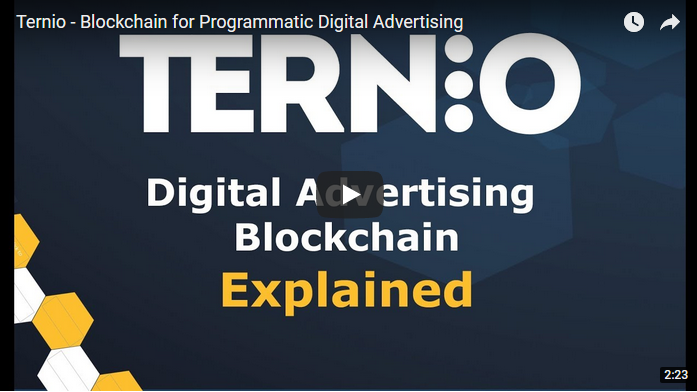 Ternio's 1.2 million tx/s blockchain has applications outside of programmatic advertising, however that is our focus for now. It's a big market and ready for a solution. Is your token POW of POS? Neither. Our Lexicon blockchain technology relies on a Byzantine agreement system. It uses modified versions of Hyperledger Fabric and Stellar. Neither. Our technology relies on a Byzantine agreement system. It uses a modified version of Hyperledger Fabric and Stellar. I would like to clarify what the Byzantine agreements are? What do they mean? now the biggest advertising service going from google. because a lot of people use internet. so how you wanna compete with this titan? Ternio's technology can be used with all of Google's software and (if Google choses) can be integrated with their ad network as well. Check out the white paper. https://ternio.docsend.com/view/4jji4v4 They go into detail on this. I'm a big fan&hodler of Stellar and that's how I found Ternio. The fact that Stellar is having companies of this caliber pick XLM over ETH says a lot. I think Stellar will be a top 5 coin in a year. For anyone interested, we are going to be releasing a 3rd party verification of our transaction speed (written report + video). We had an independent company come in and audit Ternio's Lexicon blockchain. This was to appease anyone who may be skeptical of the claim.